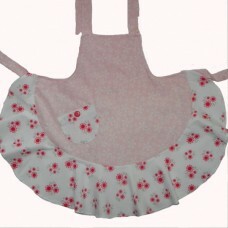 The Get Smocked vintage style apron is handmade just for you. With two sizes suitables as a childrens vintage style aprons and an adult apron there is something to suit everyone. Great for those messy cooking tasks around the house the cupcake apron will be perfect as a birthday present or for any other special occasion.